WOOTS Big huge post coming through! Okay first off I am gonna say this, you guise are sleeping on the LOGO Jolie head. Out of all the items that was sent to us, THIS right here is my head. I am wearing my own personal shape for that I made for the head. I know you’re saying Oh my gawd, Kodeine you are white! Yes, No discrimination what so ever when it comes to skin fair, because the pales tones are pretty. So I had this creator drop a skin package on me called Pity Party. I’m like Let’s see what’s this bout. I will tell you this skin is made for Genus Head. It is Omega which is a plus, like everything is Omega so it worked for my Slink Hourglass items. Sakura is the first three and then It’s Momo. I couldn’t really tell the difference between the two? I guess they’re just equally cute! But I want to talk more bout this head. First of all, READ THE NOTECARD. I have a bad habit of not reading notecards for nothing. Ignoring the notecards that is in the head. First of all the main hud is in a box called Custom and Animation hud. WHY isn’t in with all the rest of the items, no clue but that’s a small point taken away. I had NO clue what I was doing. I was told by a fellow blogger that they’re doing classes for the Logo head I’ll check more into it, but READ THE NOTECARDS. 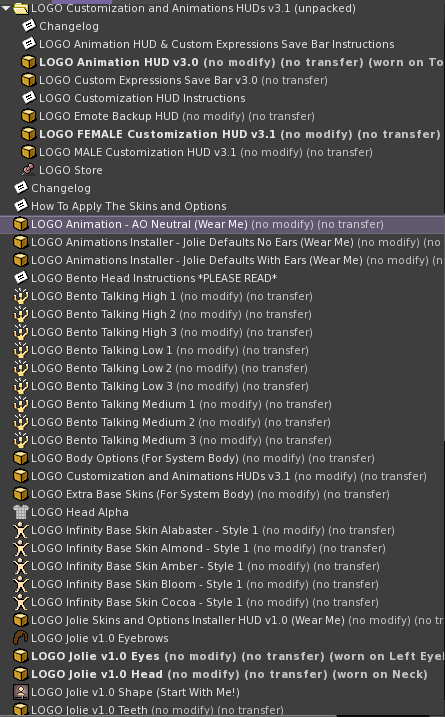 All facial animations that you see in my collage are from the LOGO animation hud. I will say this the animation hud is really bugged. I couldn’t figure out how to make my face not look like RBF after I was finish with the animation. So that was a bit of a point taken off, but good part you can mix and match upper lower and even save your own custom face animations. Anyways not much to say about this everything else can be explained down below!